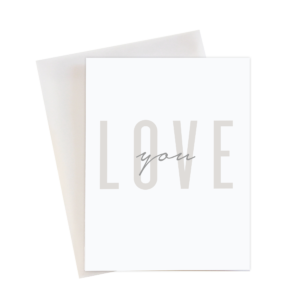 Our single cards are digitally printed on 100% cotton paper. Every card is paired with a translucent vellum envelope. A2 folded card measures 4.25 x 5.5 inches, blank inside.